 R76, a soccer specific training organization, was founded to improve the quality of soccer playing in the Northeastern Bergen County, NJ community. We strive to provide soccer education geared towards the individual needs of our players. Players choose to work with R76 staff to supplement their current soccer training and enhance their skills. R76 is led by educators and experienced soccer trainers who sincerely care about the players for whom they train. Indoor programs run out of the Northern Valley Baseball Academy at 51 Railroad Ave in Closter, NJ and Impact Zone at 335 Chestnut St. in Norwood, NJ. Outdoor training is offered at local fields near Demarest, Haworth, and Closter, NJ. Phone: 201-367-1692 Call us any time!!! Se Habla Espanol!